If I wanted to give this review a clickbait-y title, I would have written "My New Favorite Foundation That Nobody is Talking About". 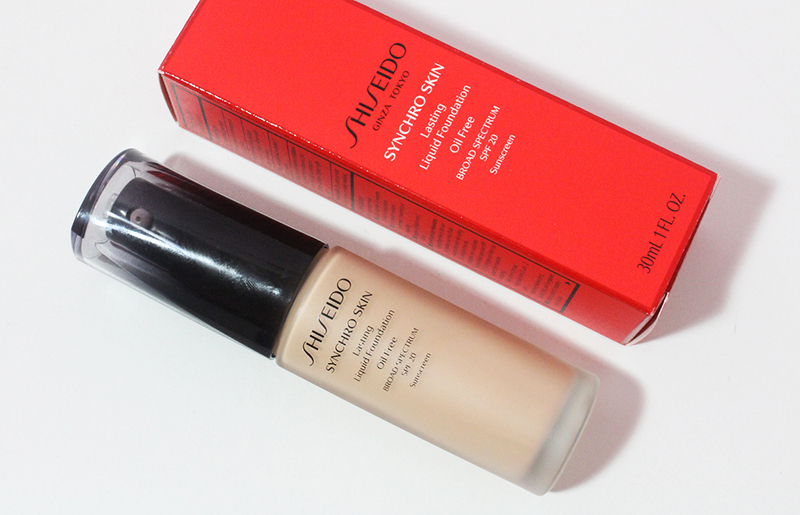 So you can already guess I like the newly launched Shiseido Synchro Skin Lasting Liquid Foundation*. 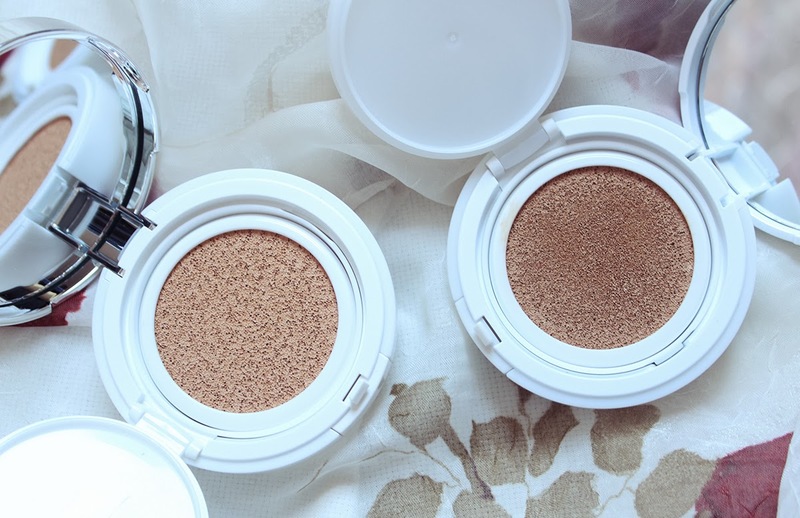 I was fortunate enough to get my hands on Shiseido's latest base makeup release a few months ago and I've been itching to tell you guys about it. According to Shiseido, this is "an oil-free and long-lasting foundation with medium buildable coverage that beautifully enhances your complexion by harmonizing with your skin for a natural-looking finish". It's also supposed to feel airy and silky on the skin. The foundation is also formulated with SPF 20 to protect the skin. The foundation comes in a heavy frosted glass bottle with a pump (yay!). It's not great for traveling but I like how the bottle looks. My one minor complaint with the packaging is that the plastic cap attracts fingerprints easily, as you can see from the photo above, and it doesn't securely fasten onto the bottle. The foundation retails for $45 for 1 oz. There are 11 shades in the range which are split into three undertones: neutral, rose and golden. I was originally provided Neutral 4 which is the darker swatch above. Clearly it doesn't suit my winter skintone so I asked for a shade lighter, Neutral 3, which you can see is the lighter swatch. I'm happy to report that Neutral 3 is a darn good match for my face! I was surprised to see the stark difference between the two shades even though they are right next to each other on the spectrum. For the summer I definitely will be able to mix the two shades together to get a perfect match. You have to make sure you shake the foundation well before you pump out product because it does separate. It is a very liquid formula but packs a surprising punch of pigment. 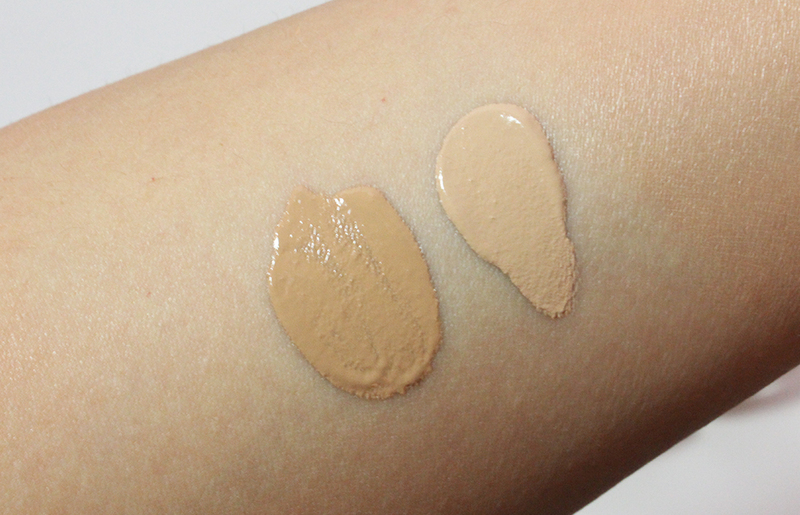 There have been a lot of new foundations recently that have high coverage in a watery formula. I use the tiniest dot of this foundation on a buffing brush and it blends into the skin seamlessly. I always make sure to have a nice layer of moisturizer and primer on beforehand to avoid accentuating dry spots. This foundation doesn't feel hydrating or moisturizing at all but it's not drying either. It simply blends into the skin and enhances it. Now it's time for the most telling part of the review: the before and after! In the before picture I already have on the Clarins Beauty Flash Balm, which is a transparent primer, and my beloved Laneige Cushion Concealer under the eyes. The foundation evened out a lot of the redness along with the yellowness around my nose and mouth areas without looking heavy or mask-like. The difference around my nose and mouth areas really show how much coverage this gives with just a drop of foundation. This foundation lasts very well on me throughout the day and doesn't separate or crack. As I stated before, I do make sure to moisturize well before applying the foundation to ensure I have a nice canvas to work with. I also powder my face lightly with translucent setting powder but you can see in the after photo that the foundation has a natural matte finish. 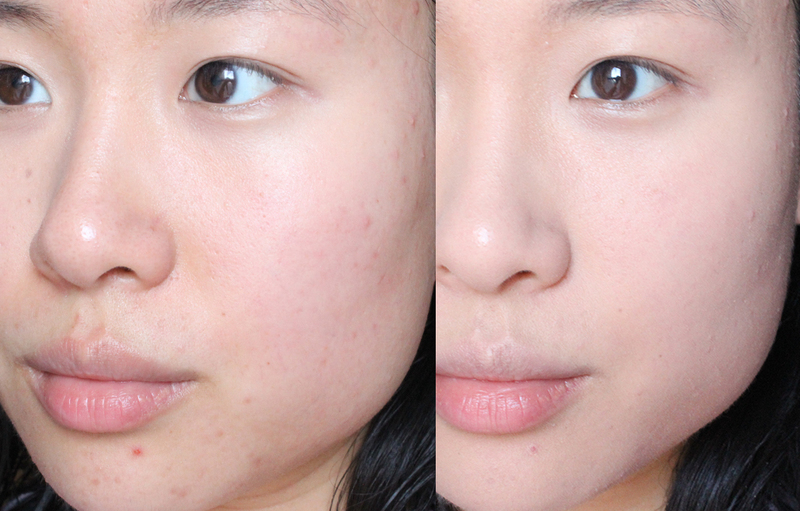 If you have normal or dry skin, you can probably skip the powder entirely! I usually opt for a BB cream or tinted moisturizer but I'm really loving this foundation. It's both comfortable and beautiful on the skin. Even though it's on the pricier side, a little goes a very long way so one bottle will last me ages. I highly recommend you try this foundation out if you come across it in a department store or Shiseido boutique as I think many people, especially those with oily or combination skin, will enjoy it. * This product was provided by PR for consideration. This is not a sponsored post and my opinions are 100% honest and my own.